Wan Mohd Khalik, W., P. Abdullah, M., Othman (Malaysia), M. (2015). Comparative Study of Trace Level for Extracted Mercury in Different Water Samples with Aided Multivariate Statistical Analysis (Research Note). 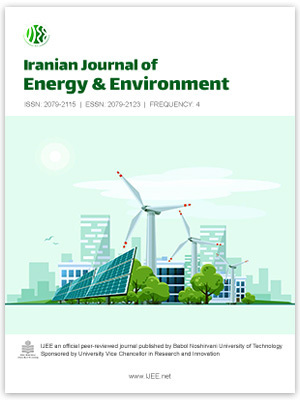 Iranian Journal of Energy and Environment; previously called: Iranica Journal of Energy & Environment, 6(3), -. W.M.A. Wan Mohd Khalik; M. P. Abdullah; M.R. Othman (Malaysia). "Comparative Study of Trace Level for Extracted Mercury in Different Water Samples with Aided Multivariate Statistical Analysis (Research Note)". Iranian Journal of Energy and Environment; previously called: Iranica Journal of Energy & Environment, 6, 3, 2015, -. Wan Mohd Khalik, W., P. Abdullah, M., Othman (Malaysia), M. (2015). 'Comparative Study of Trace Level for Extracted Mercury in Different Water Samples with Aided Multivariate Statistical Analysis (Research Note)', Iranian Journal of Energy and Environment; previously called: Iranica Journal of Energy & Environment, 6(3), pp. -. Wan Mohd Khalik, W., P. Abdullah, M., Othman (Malaysia), M. Comparative Study of Trace Level for Extracted Mercury in Different Water Samples with Aided Multivariate Statistical Analysis (Research Note). Iranian Journal of Energy and Environment; previously called: Iranica Journal of Energy & Environment, 2015; 6(3): -.